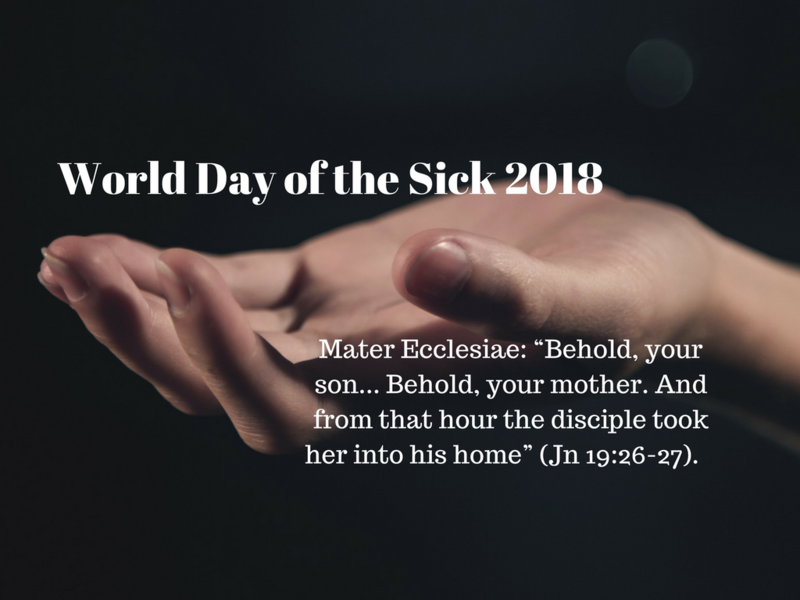 Released by the Vatican on Monday, the message for the 26th World Day of the Sick has as its theme: Mater Ecclesiae: “Behold, your son… Behold, your mother. And from that hour the disciple took her into his home” (Jn 19:26-27). Instituted by St. Pope John Paul II on May 13, 1992, the annual observance intends to draw attention to the sick and their caregivers.